Via Nazionale 249, Rome, 00184, Italy, Europe. Just A Few Steps From Rome’S Termini Railway Station, Nazional Rooms Is A Comfortable Bed And Breakfast Set In The Historic Centre. Within Easy Reach Of Rome’S Opera House, S. Maria Maggiore Basilica And The Coliseum, Nazional Rooms Offers 8 Soundproof Rooms With En Suite Bathroom, Free Wi-Fi Connections And Modern Comforts. At Nazional Rooms You Will Find A Homely Atmosphere And Friendly Staff. The Building Currently Has A Lift. 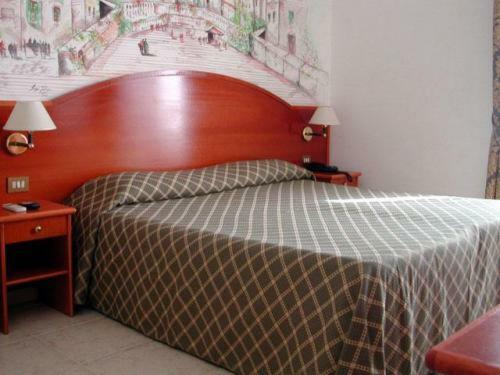 This Quaint Bed And Breakfast In The Centre Of Rome Is Easily Reachable. How to reach us Via Nazionale 249, Roma, 00184 Nazional Rooms is 5 minutes walking from Stazione Termini( 200 meters ), few steps from the main bus terminal of urban and extra urban transportation. In "Via Nazionale" you can find banks, restaurants, pubs, night clubs and a lot of shops. The subway station and many bus stops are located at the beginning of "via Nazionale By Train : At the railway main exit, cross Piazza dei Cinquecento towards Piazza della Repubblica (you''ll see a big fountain in the centre of the square) then turn left into Via Nazionale. Keeping the right side after Mel Book Store and Mc Donald''s at number 249 of an ancient building you''ll find Nazional Rooms. Go on the 4th floor until you see the sign of Nazional Rooms. If you want to get there by bus, lines 64 or 70 are just 2 stops away from the railway station. By Plane : With a taxi or a train/shuttle (Leonardo Express) up to stazione Termini. Fiumicno and Ciampino airports have fast connections to Termini railway station. One you get the station follow instructions as above. By Car : A1 highway towards rome. Exit Roma Nord if you come from north Italy and take the GRA (Grande Raccordo Anulare) then exit Salaria and follow the signs for city centre. If you come from south Italy exit Roma Sud and take GRA, then exit Appio S.Giovanni and follow signs to the city centre. Hotel Information : The ancient building has an elevator. The warm hospitality, the professional service and the comfortable rooms make the B&B an ideal base for stays in the heart of the capital.